The two possible routes to synthesize poly (lactic acid) are polycondensation of the lactic acid and ring opening polymerization (ROP) of the lactide. This work involves molecular modeling of the polymerization initiation mechanisms using different initiators a) H2SO4 for polycondensation b) aluminum isopropoxide for coordination-insertion ROP c)methyl triflate for cationic ROP, and d) potassium methoxide for anionic ROP. 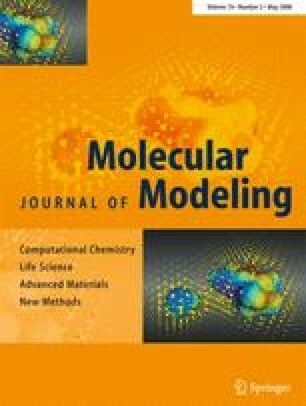 For molecular modeling of PLA, we have benchmarked our approach using Ryner’s work on ROP of L-lactide using stannous (II) 2-ethylhexanoate (Sn(Oct)2) and methanol as initiators. Our values of -15.2 kcal mol-1 and -14.1 kcal mol-1 for enthalpy changes in the two steps of activated complex formation match with Ryner’s. Geometric and frequency optimizations have been done on Gaussian’03 using B3LYP density functional theory along with the basis sets LANL2DZ for metal atoms and 6–31G* and 6–31G** for non metal atoms. The kinetic rate constant for each mechanism has been calculated using the values of energy of activation, change in enthalpy, Gibbs free energy, entropy and the partition functions from the Gaussian’03 output. Our polycondensation rate constant value of 1.07 × 10–4 se-1 compares well with 1.51 × 10–4 se-1 as reported by Wang. However, ROP rate constants could not be validated due to lack of experimental data.